Sorry I've been missing for so long, things have been hectic in the Mammy Made household. 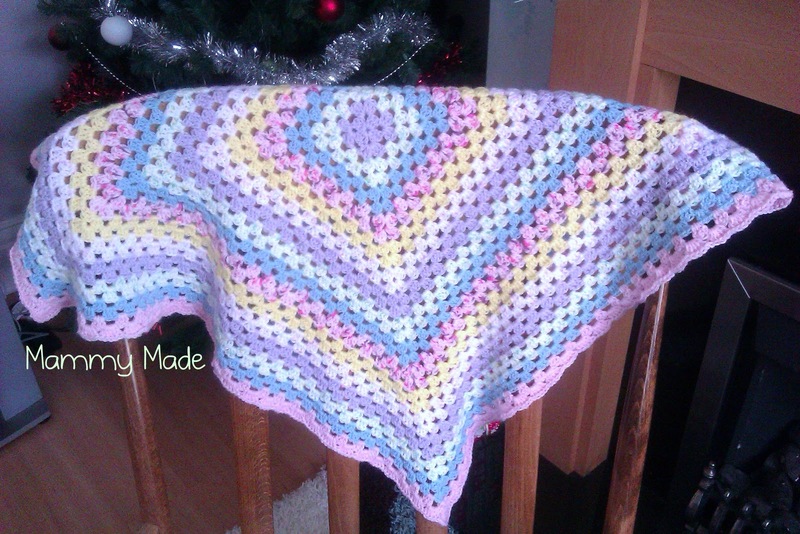 I'm back with a nice post though :) I made a blanket for a friend of mine who's pregnant with a little girl. I think it's lovely, I almost want to keep it myself haha. I used a 5mm crochet hook and 4ply baby yarn. It's so soft and snuggly!